Light possesses the power to change the appearances of objects and hence the perception. 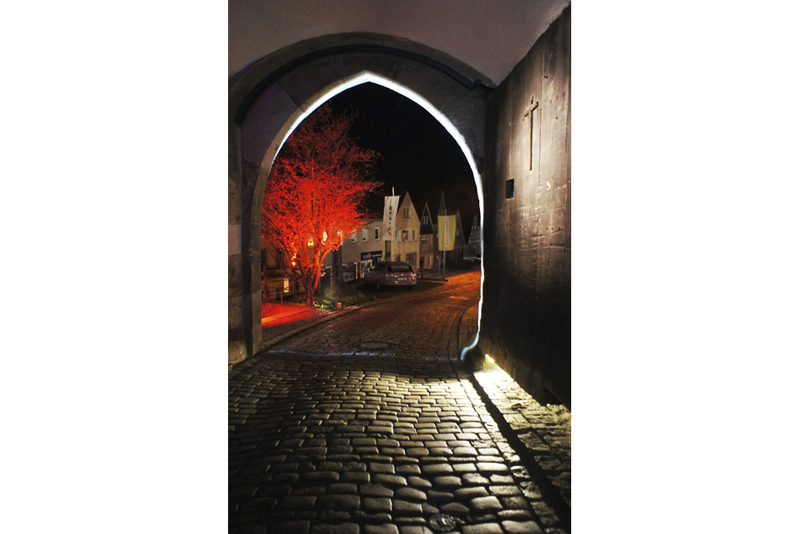 With a composition of light, shadow and color we tell the story of Kronach in specific and life in general. The siege of city by Hussite army, the burning of the suburbs, and the Swedish and the Prussian invasions mark an intense time in the history of Kronach. 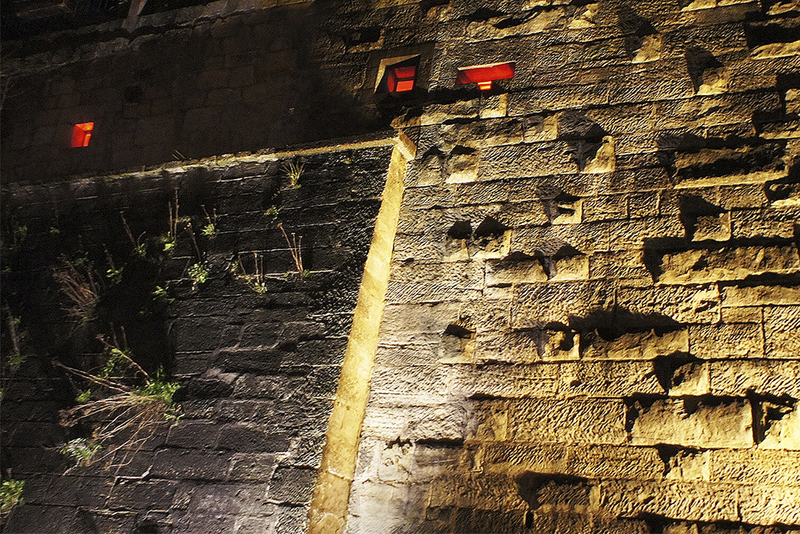 We interpreted these hardships and used a warm and fire like color of light to depict those times on the wall of the castle. We created a dramatic ambience which reveals the chapters of history and at the same time celebrates the grand architecture, rich materials and the intricate textures. Using this language of symbols we deciphered the Bamberger Tor as an entity which symbolizes newness in terms of both the spatial character and the time. There we brought in an atmosphere of calmness and purity to indicate a commencement of a new era. The gateway is lit in a very subtle way to induce these feelings and the whole idea is reinforced by the presence of the installation of origami birds, washed in light, which represent freedom, hope, peace and harmony. After crossing the gate the lighting installation then gradually settles down, the silhouettes of the birds on the facades of houses slowly merge into the next installations of Kronach in lights.